We’d like to thank the Chamber for holding its March luncheon meeting at the Patrician! Business leaders Brandon and Jared Smith of Nooma are presenting. 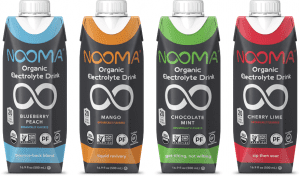 Learn how these two brothers turned their product – Nooma Sports Drink – into an overnight success. Members and nonmembers are welcome to register and attend chamber luncheons. $25 for members, $30 non-members. For more information, call 440-942-1632. Thank you to CT Consulants for sponsoring this luncheon!